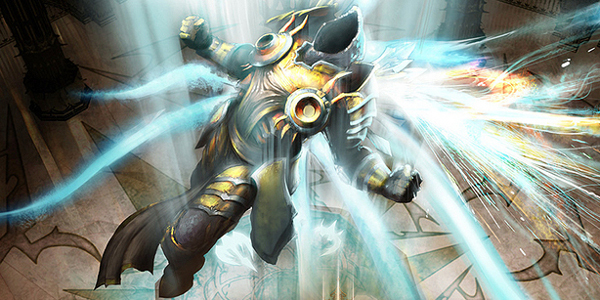 Gamers can delve further into the mind of Archangel Tyrael in this new book. From Insight Editions and Blizzard Entertainment, the makers of critically acclaimed games such as World of Warcraft, StarCraft II: Heart of the Swarm, and Diablo III, comes this exciting companion edition to Diablo III: Book of Cain. Diablo III: Book of Tyrael gives players an in-depth look into the mind of the Archangel Tyrael and chronicles his involvement in the Diablo universe’s Eternal Conflict. Known for blockbuster hits including the Warcraft, StarCraft, and Diablo franchises, Blizzard Entertainment, Inc., is a premier developer and publisher of entertainment software renowned for creating some of the industry’s most critically acclaimed games. Insight Editions is a publisher focused on creating superlative illustrated books on photography, music, and popular culture. Lavishly produced and visually stimulating, every volume from Insight is dedicated to the skillful interplay of word and image. The books produced are unique works that combine the highest quality print production values with time-honored publishing traditions and rich subject matter. Elegant and informative, books from Insight showcase the best of art and photography in exquisite presentations of the bookmaker’s craft.